Instant Pot balsamic chicken the whole family will love. This recipe yields tender pieces of meat with crispy skin. A balsamic vinegar and tomato reduction is drizzled on top for a savory sweet sauce. Instant Pot balsamic chicken is quickly tenderized under pressure for succulent pieces of meat with a flavorful sauce to drizzle on top. The multi-cooker allows for searing the skin of the chicken thighs to create a crispy surface while finishing the cooking in just 10 minutes. The chicken is braised in a tomato and balsamic vinegar sauce, transferring the flavors into each bite. The sauce gets reduced in the same pot to concentrate the naturally sweet, tangy and savory flavors of the ingredients. This recipe will be a new Instant Pot favorite with fresh Italian flavors that everyone will enjoy! The saute function on the Instant Pot has been a game changer. It enables the cooker to add new textures and create flavors from Maillard browning, all in one vessel. I wouldn’t say that it’s better than a stainless steel pan for the color development and crunch on the chicken skin, but it’s an excellent alternative when you want to minimize cookware. When cooking chicken thighs it’s important to sear the surface for not only taste, but it also helps to render the extra fat from that particular cut of meat. The drippings then melt into the pan, flavoring the braising liquid. Have you ever experienced the skin on the chicken sticking to the bottom of the pot? Just like using stainless steel pans, make sure that the Instant Pot is hot before adding the oil. Do not overcrowd and allow the skin to sear without moving until it releases from the surface on its own. It may require a little nudging at the end, however, if you let it be, it should not overly stick. If there’s too much chicken added to the pot at one time, it’s prone to sticking because it’s not hot enough to create a crust to harden and be easily removed. Once the chicken is seared, onions, tomatoes, and garlic are sauteed in the drippings. The onions lightly caramelize, the tomatoes cook down, and the garlic adds its aromatics. Chicken broth, balsamic vinegar, and fresh thyme are added to the pot to create a braising liquid for the chicken. After the balsamic chicken is cooked under pressure for 10 minutes, the sauce gets reduced down until its thick enough to cling to the meat. This step also helps mellow out the acidic vinegar notes, accentuating the sweetness of the fermented and matured grapes which adds depth to the sauce. I like to take one extra step after the chicken has pressure cooked and the sauce is reducing. After braising in the hot and steamy environment, the skin loses its crispiness. You can leave it be, or if you like to eat crispy skin like my family, quickly turn on the broiler in the oven and let the skin dry up a bit and get it’s crunchy texture back. I promise, broiling is worth the time and adds a nice contrast to the juicy meat. 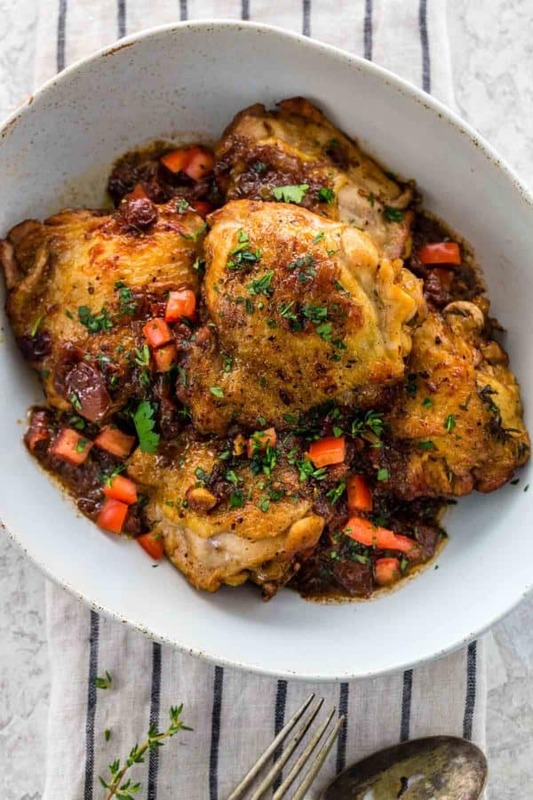 This Instant Pot balsamic chicken recipe is a tasty main dish, perfect for those cool evenings when you want a cozy and satisfying hot meal. It’s also great for Paleo and the Whole30 diet. Break out the multi-cooker and get ready for a mealtime hit! One limitation to the Instant Pot is that the circumference of the pot insert is not that large, so it’s best to work in batches for searing pieces of protein. The meat should not overlap. Otherwise, the food will steam instead of brown limiting the amount color on the surface and extra flavor. Simply remove the seared food, allow the pot to heat up, add more oil if needed and continue to cook the next batch. Instant pot balsamic chicken yields tender pieces of meat and crispy skin. A balsamic vinegar and tomato reduction is drizzled on each piece of chicken for a savory sweet sauce. Trim any excess fat and skin from the chicken thighs. Dry with paper towels and season on both sides with salt and pepper. Press the "Saute" button on the Instant Pot. Press "Adjust" and select "More" setting. Once the display says "Hot", add the olive oil and allow to heat. Once the oil is hot add the chicken skin side down. Saute without moving the chicken until it is golden in color, 7 minutes. Flip chicken over and cook 2 minutes. Transfer to a clean plate. Add onions and tomatoes, saute until tender, 3 minutes. Add garlic and saute for 30 seconds. Add chicken broth, balsamic vinegar, 1/2 teaspoon salt and thyme, stir to combine. Add chicken to the pot. Place lid on Instant Pot and close. Make sure the steam release handle is positioned to "sealing". Press the "Keep Warm/ Cancel" button. Select the "manual" setting on "high pressure". Use the "- or +" button to adjust the time to 10 minutes. It will take some time (about 10 minutes) for the pot to gather steam and pressurize. You may see some traces of steam exit from the float valve as it is pressurizing. Once the display indicates "On" and begins the countdown at "10", and beeps when the cycle is complete. Cover your hand with an oven mitt or towel to carefully quick release the pressure from the pot, sliding the steam release handle to the "Venting" position, releasing all of the steam until the float valve drops down. Carefully open the lid. Press the "Keep Warm/ Cancel" button. Transfer chicken skin side up to a foil-lined sheet tray. Broil the chicken on high about 12-inches from the top of the oven to crisp the skin, about 3 to 5 minutes. Meanwhile, press "saute" on the "more" setting. Simmer and stir until sauce is reduced and thickened, 8 to 9 minutes. The sauce should be reduced to about 3/4 cup. Taste sauce and season with salt and pepper as desired. Serve sauce with chicken and garnish with parsley. MAKE IT WHOLE30 AND PALEO: Use extra virgin olive oil and sea salt. Jessica, love your blog and your recipes. I would love to try this Balsamic Chicken (simply love chicken+vinegar) but I do not have an Instant Pot. How would I cook it in my Dutch oven? Any changes to the above ingredients? Please help…. Your chicken wings were AMAZING. I got lots of compliments thanks to you. I learn so much from you. You make me a better cook. Thank you for all your hard work with this blog. Thank you Cristina! I would keep the ingredients the same. I would preheat the oven to 350F. Sear the chicken, remove it from the pan. Then add all of the liquids and bring it to a boil. Turn off the heat and add the chicken back in. Cover with the lid and the braise in the oven for 20 minutes. Remove the lid and cook until the chicken thighs are tender about 20 more minutes. Remove the chicken from the pan, then broil it. Continue to reduce the sauce on the stove if it did not reduce enough in the oven. Let me know how it goes! Cannot thank you enough, Jessica. I will give it a try over the weekend. I would cook this in a pressure cooker. I feel it would be the same!!! I had planned to make this last night but got home much later than planned. Tired, i though about ordering pizza but the chicken thighs were already out and waiting. This recipe does not have a long list of ingredient and looked simple enough. I don’t have an instant pot, just a pressure cooker. I had dinner on the table in just over an hour. The depth of flavor was very, very good. I forgot to seed the tomatoes…i added some pepper flakes and a bit more garlic than called for. Next time, i might add some mini potatoes cut in half. This is definitely a keeper. Highly recommend this recipe. I’m looking forward to trying this! One question – what do you do with the 1 Tbsp of chopped parsley? I see it in the ingredient list, but not in the recipe instructions. Is it used only as a garnish? Hi Krissy- Yes, the parsley is for garnish. I’ve updated the recipe, thanks! The chicken looks beautiful. I only have a crock pot so would need to do mine in the oven too. Just made this! It was simple and is delicious! I appreciated the detailed step by step directions. They really helped “newbies” like myself! Whoo hoo! You are so welcome. The instant pot is fun once you get the hang of all the buttons! Just made this dish tonight and it was a hit! Putting it under the broiler is a great tip. My husband and son loved it! Look forward to more instant pot recipes! Your recipes are so easy to follow and never a disappointment! is there some way this could be made in a crock pot? it sounds and looks absolutely delicious! 1) Heat a large saute pan over medium-high heat. Add 1 tablespoon olive oil. Once the oil is hot add chicken skin side down. Cook until skin is golden in color, 5 minutes. Flip chicken and cook 2 minutes. Transfer to a clean plate. 2) Add onions and tomatoes, saute until tender, 3 minutes. Add garlic and saute for 30 seconds. 3) Add chicken and tomato mixture to your slow cooker. 4) Add chicken broth, balsamic vinegar, 1/2 teaspoon salt and thyme, stir to combine. 5) Cover and cook 2 to 4 hours on high, 4 to 6 hours on low. 6) Transfer chicken skin side up to a foil-lined sheet tray. Broil the chicken on high about 12-inches from the top of the oven to crisp the skin, about 3 to 5 minutes. 7) Meanwhile, add the liquid to a large saucepan and simmer and stir until sauce is reduced and thickened, 8 to 9 minutes. The sauce should be reduced to about 3/4 cup. 8) Taste sauce and season with salt and pepper as desired. Great recipe! If I wanted to make this for 8 people (doubling the ingredients and chicken) how would that affect cooking times, if at all? Thanks! Thanks Adam! What size instant pot do you own? You don’t want the pressure cooker to be more than 2/3 full. For this recipe I think you can keep the cook time the same since the enclosed pressurized vessel will cook the food evenly. Hi Jessica, Can you use boneless, skinless chicken thighs in this recipe? I doubled the recipe and made enough for dinner and one meal prep. We have sort of big appetite, so doubling the recipe made enough for just 4 meals. The directions were so easy to follow, I just made sure to have all my ingredients prepared before I start. I used the same cook time for the pressure cooking portion and the meat turned out perfectly. It took longer for me to reduce the sauce since I doubled the recipe. It made a lot of sauce, we didn’t use it all. The flavor was great, it’s a keeper! Thank you for your helpful feedback Trang! Do you think you could keep the sauce the same (not double it), but double the chicken? Would love to hear your thoughts. 1. can I use canned diced tomatoes and can I use balsamic dressing? Just made this recipe last night. We were going to have a salad, but that just sounded boring to me. I looked up chicken recipes and Jessica Gavin pulled through (as usual)! I am a frequent user of balsamic vinegar and this reduction was a HUGE hit. Not only that, but the recipe is super simple to follow. The reduction at the end just requires a little patience. I’d love more examples of paleo/whole 30 pairing options for future paleo/whole 30 recipes please! Keep up the great and healthy recipe ideas! Thank you for your helpful feedback Stephanie! I will definitely note more paleo/whole 30 recipes. Oh wow this was just delicious! My whole family went crazy over it. And it’s easy enough that my 12 yr old made it! Thank you for a recipe that will be a regular. Also good enough for company! Can I use chicken legs instead? If so any guess on time? Yes, you sure can! I would do 10-minute high pressure with a 5-minute natural release. Let me know how it goes! Getting my first instapot tomorrow. Excited to try your recipes. Can I use boneless skinless chicken breasts? How exciting Maria! I would saute the chicken for 3 minutes, then flip over and saute another 3 minutes, just to lightly brown the surface. Then cook at 8 minutes high pressure instead of 10. Let me know how it goes! Happy holidays! I am still new to my InstaPot and am going to attempt to double this recipe for holiday dinner. I also bought boneless, skinless chicken, but thighs. Would it be the same thing if doubling? 3 mins each side saute, and then 8 mins high pressure instead of 10? Thanks so much!! Hi Mindy- I apologize for the late response! How did doubling the recipe go? I would do everything the same, expect it will take longer to reduce the sauce down since there is more liquid. Also, make sure that instant pot is not more than 2/3 full. I’m having friends over for dinner tonight and would love to make this recipe. I’d like to do 4 boneless, skinless breasts. After sautéing for 3 minutes each side would you still only cook for 8 mins? Should I make sure each breast is a particular size/thickness? Any recommendations as to what to serve it with? Rice? Risotto? Quinoa? Any other suggestions? Thank you so much! 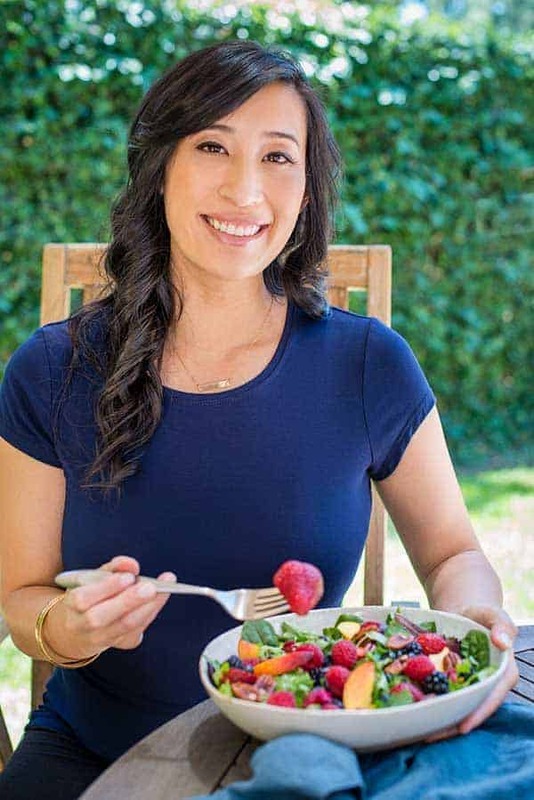 Hi Kelly- I haven’t tried the recipe with breasts yet, but I would recommend trying the following: Saute 3 minutes each side, pressure cook 10 minutes, then release the remaining pressure manually (cover the pressure gauge with a towel). I would try to find 4 breasts, about 2 pounds total. A little thicker is better then the thin cut breast to hold up against the pressure cooking. Please let me know how it goes! Just made this dish last night it’s delicious! Especially enjoyable the next day after all the flavors soak in even more. I just discovered your site after getting an instant pot and your instructions and technique tips make me confident to use the scary monster :). (It’s not that scary after all). The only issue I had was with the amount of salt required for step 5; after all was finished and I tested the sauce to see if it needed any more salt or pepper, it seemed ultra-salty. I remedied it by mixing the sauce with other grains and roasted veggies, thereby distributing the salt across more “surface area” so-to speak, but I’m wondering if 1/2 teaspoon may be too much? Next time I make this, I’ll probably be conservative and do 1/4 teaspoon and add more later. 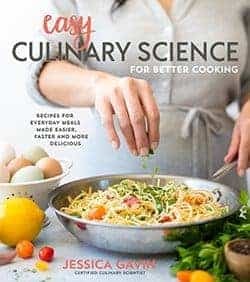 Thanks Jessica, can’t wait to try more of your recepies! Awesome recipe! I only had frozen boneless skinless chicken thighs and it worked perfectly! I defrosted the chicken for just a couple minutes in the microwave just so I could sauté it as the recipe follows. I used a can of diced tomatoes also. I cooked on manual for 18 minutes rather than 10 because they were frozen and skipped the broiling part and everything came out so good. I served it on top of rice. So good! Thank you for this recipe. I am new to instant pot recipes, so I am glad I found this one. I can’t wait to try it again with the skin and bone! Thanks for sharing your modifications with frozen chicken. Happy to hear that you enjoyed the recipe! My husband gave me a 3 quart Instant Pot this Christmas( it is just the two of us now). I was intimidated to use it at first This was my first recipe to cook. It was amazing. I used 1.2 ounces of bone in chicken breast so according to you pervious recommendations I reduced the cooking time to 9 min. It was perfect. I served it over a lemon risotto. My family has a saying if dinners are good they are repeats and Chuck says this is defiantly one. I bought your app also and was surprised not to see to many Instant Pot recipes, do you plan to add them? I look forward to cooking more of you recipes. Thank you for clean food choices. Whoo hoo! That’s so great to hear. Yes I hope to add more IP recipes to the app, thank you for your purchase! First off I LOVE THIS RECIPE- I’m serious it’s become my favorite. The chicken is fall-apart-juicy cooked to perfection and the skin ends up crisp and delectable. The only advice I need is with regard to step 1 while searing the chicken skin. Tonight, in particular, the skins stuck so badly to the IP pan bottom despite my using (what I considered to be) plenty of oil. What advice can you give me to avoid losing my skins to the pan? Hi Nicola- I usually make sure the pot is hot before adding in the oil, and then make sure to let the oil heat up before adding the chicken. Make sure the chicken is dry, and once I add it the pot, I don’t move it otherwise the skin sticks. Let me know if that helps! Hi, I made this last night, the only variance was red onion instead of yellow. I was doubtful after mixing everything because it didn’t smell like something I was going to like, however to my surprise it was absolutely delicious! Definitely, one I’m adding to my ‘frequent’ meal list. Thank you for your feedback Kelly! Once the sauce reduces, it’s like a dream! How would I adjust cooking time in instant pot for boneless skinless chicken breast instead of thighs? Hi Karen- I would still do 10 minutes on high pressure, cover the vent with a towel and do quick release of the pressure. See how that goes, and please let me know. Thanks! I want to make this, but with chicken breasts instead. Is that possible and how would the cooking time in an instant pot change? Hi Tracy- I would cook the breast for 3 minutes, flip and cook another three, and then use the same pressure cooking time. Give that a try and let me know hot it goes.